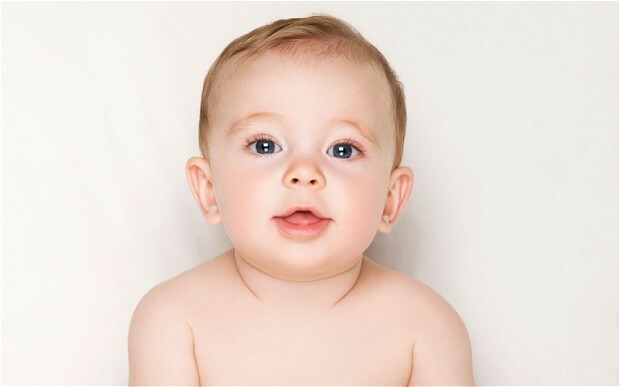 For every child born in Britain yesterday, I wish them a happy, long and meaningful life. I wish them the right to grow up with all the joys of childhood and a stable and happy family life. I wish them the right to privacy as a child and as an adult. I wish them the right to marry whomever they happen to fall in love with. I wish them the right to choose their own religious or spiritual path. The right to be an atheist, a Catholic, a Muslim, a Buddhist or anything else. The right to choose their own vocation, based on their own individual skills and inclinations, to contribute to the world in their own way. The right to choose their own political opinions and the right to vote. The right to choose to be a solider or an anti-war protester. The right to become the Head of State, if they have the skills for that role, and the people agree and vote them in. Is it so crazy to wish that for every child born yesterday? Isn't every child born equal? Shouldn't every child be born equal? Although it's already been out for about eighteen months, I've only just found out I've been published in a book. 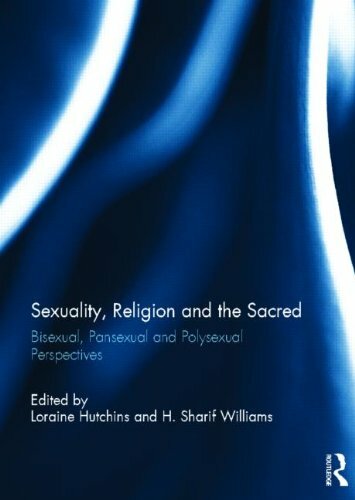 Sexuality, Religion and the Sacred: Bisexual, Pansexual and Polysexual Perspectives edited by Loraine Hutchins and H Sharif Williams is a reissue of an special edition of The Journal of Bisexuality. It contains my essay, "Bi Christian Unitarian: A Theology of Transgression." If you've got a spare 85 quid (I know) you can get it from Amazon here. I glanced at it sunbathing on Boston Common, and have not really looked at it since then, until about a month ago when I started reading it in preparation for a class I was teaching on humanism at my church. So this is just some ponderous thoughts I’ve had while reading it, in reaction to some of the ideas. I have previously on this blog been a bit critical of humanism within Unitarianism, so it was about time I gave it a good hearing. It was helpful to understand how humanism began and grew with American Unitarianism, but I’m still puzzled by how it came to British Unitarianism, there’s a lot I don’t understand about the development of Unitarianism in Britain in the twentieth century. What interests me most is not secular humanism but religious humanism. Secular humanism makes sense to me as a non-religious philosophical and political position. What interests me is a humanism that claims a place within religious liberalism, that wants to remain within Unitarian communities, in communion with more traditional positions. Religious humanism does beg the interesting question “what is religion?” How can humanism be religious? William Murray provides an intelligent response to this question, though I have some problems with some of his points. He writes “Every religious vision needs to be anchored in a story” (66) – and I absolutely agree with him. A point I have made numerous times on this blog is the that Unitarianism has not yet learnt how to be truly non-creedal, and that we’re still overly-obsessed with “beliefs” and “creeds” – and we need to find a religious centre in stories and practices rather than personal credos. Stories matter, stories are vital in religion. Murray goes on to say that “modern science has given us a new story with multiple layers of rich meaning.” (66-67). I’ve heard this before in American UUism, that science and particular evolution provides us with a “religious” story. Now, I love evolution. I studied evolutionary biology for many years, and I’m absolutely fascinated by it. BUT I don’t think this is a religious story, I don’t think it’s a good enough story. I love evolution – but I have to confess I watch many more dramas on television than documentaries. Don’t you? Aren’t we all more interested in human stories ultimately? Because we’re humans. Can a non-human story really provide us with ultimate meaning? The Israelites escaping from Egypt is a story, as we can identify with this story when we are oppressed and need liberating (African American history shows the power of this story, inspiring a new story of liberation). Jesus’ death on the cross is a story because we can identify with this story when we are broken, lonely, betrayed. Socrates’ execution is a story because we can identify with this story when our integrity and truth-telling brings us persecutions. Does evolution, the development of the cosmos and life, really compare to these stories? Does it offer a compelling narrative that speaks to the human condition? Honestly, I don’t think it does. Or if it does, it only appeals to the most intellectual among us who think deeply about these things. Such a religion only appeals to an intellectual elite, and I’m not interested in that. As much as I appreciate a religion rooted in nature – I think religious humanism needs a human story or stories. The other thing I’m unsure of is the relation of ethics to nature and evolution. Murray doesn’t really get into this, but it seems to me that evolution can be used to justify some practices that we might consider unethical. You can easily conclude from evolution that the world is about “the survival of the fittest” and that we should let the weakest go to the wall to create the progress of humanity. This is a profound question that needs wrestling with. To what extent are ethics in fact unnatural? In being ethical are we in fact rebelling against the natural order of the universe? I have no glib answers to these questions, I just point them out to make the point that having a religion based on biological evolution may lead in fact to the opposite of a humane, ethical world. As I say, what interests me most is the question of what makes religious humanism religious. Murray answers this question in a chapter on “The Religious Dimension” and “Growing a Soul.” These chapters were the most compelling to me, and I would have preferred to have seen these topics expanded upon; I could have done without some of the other chapters. I like these ideas, and I completely agree that a faith position can be rooted in these things and be non-theistic and non-dual. This is an approach that values the mystical and spiritual. And it’s certainly possible to have profound mystical experiences that are felt as a deep oneness with all that is, and these need not be theistic in any way. I would have liked to have seen these ideas further developed though. How do these things link together? Where is the ecclesiology? How do communities cultivate gratitude, mystery, connectedness? I think the answer to that should be “worship” but that’s not really explored here. For religious humanism to be effectively religious it needs a worship practice that opens the soul to mystery, depth, beauty, love and connectedness; worship that is more than rational exposition of words. It also needs to teach personal spiritual practices that cultivate these experiences. There is also a question of how these things link with ethics, activism and justice-making. Murray states some basic liberal positions, but doesn’t really provide a convincing systematic system that says, exactly why religious humanism is (for example) pro gay rights or pro-choice. Overall I wish Murray had spent more time exploring these religious dimensions and less time “arguing” with theism or orthodoxy. Religious humanism (like much liberal religion) to me is still much too co-dependent on conservative religion. There’s a lot of defensive rhetoric about arguing for humanism and against forms of theism, and I’m not sure it’s useful (is it a coincidence that the author is a former Southern Baptist?). There’s too much negative definition against other forms of religion, and for me that points to a kind of an immaturity in humanism. If you can’t write about humanism without mentioning God, then is humanism a thing or simple the negation of a thing? If humanism, and especially religious humanism, seeks to be a coherent thing in itself, then it needs to be a lot more than atheism. Buddhism is non-theistic, but the Buddha didn’t spend ages teaching why the Hindu religion was wrong, he taught a positive, practical, existential path to the good life. That’s what any religion has to do. Religious humanism certainly seems possible, but after reading this book, I feel like it is has a long way to go to be a coherent spiritual path. It does make me wonder whether religious humanism is a thing in itself, or simply a “phase” that liberal religion goes through, before grasping a positive path. That does seem to be what has happened to a lot of American Unitarian Universalists. Is there a path from Christianity to humanism to something like Buddhism and paganism? Is religious humanism a thing or is it simply a gap between the rejection of the old and the embracing of the new?